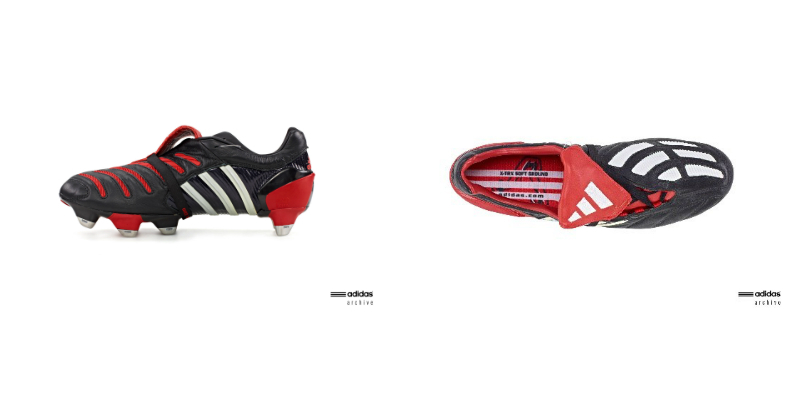 It just doesn’t get much better than the adidas Predator. When we think of classic football boots, it’s only natural for our mind to immediately turn to thoughts of those infamous 3 stripes and the seamless control provided by those innovative “teeth”. 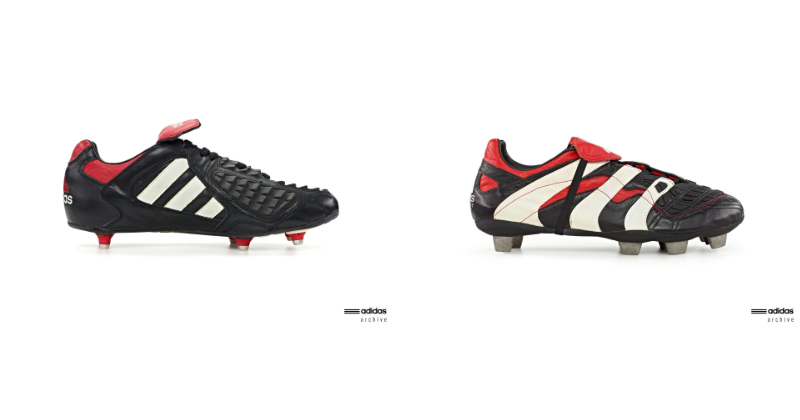 Shown off by some of the greatest players to ever step out onto the European stage, the back catalogue of Predator boots can be seen dotted throughout some of football’s biggest moments. You’ve got David Beckham’s bending free-kick against Greece in England’s World Cup qualifier. Zinedine Zidane scoring an historic double in the 1998 World Cup Final. Steven Gerrard sending the ball rocketing into the top corner on too many occasions to count. 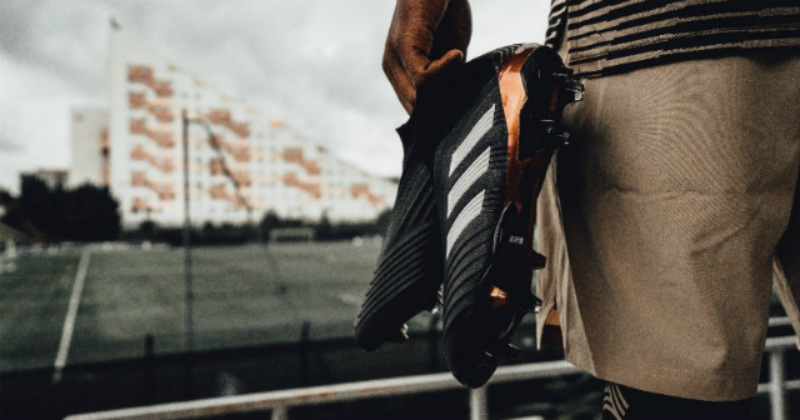 Ever since it’s inception back in 1994, the adidas Predator has always been at the heart of football’s most iconic moments, providing players with a sense of control that other football boots can only dream of. 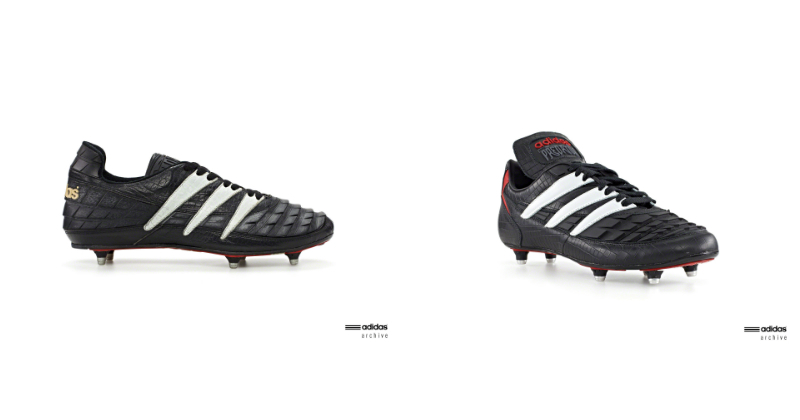 It’s fair to say that the Predator revolutionised the football boot industry forever; forcing other brands to come up with their own innovative technology and sleek designs. But how do it all start? The original Predator design was conjured up by ex-footballer Craig Johnston over 20 years ago, where he came up with the idea of adding rubber fins across the top of the boot to add a greater sense of control and power- and it’s fair to say it didn’t take long to prove his idea was bang on the money. Being released with the advertising slogan “100% legal. 0% fair”, Europe’s top leagues were seeing a sudden injection of swerve and power on long passes and shots on goal, with the innovative design proving to be lightyears ahead of anything else players were wearing. Well, when you’ve got such a state-of-the-art concept and throw it together with a stunning black and red design- it’s fair to say you’ve gone and created something truly special. The adidas Predator was the first football boot that combined practicality and performance with fashion and style, a concept that was only strengthened with the Predator releases that followed. Released in 1995, the Predator Rapier incorporated smoother, less pronounced teeth while sticking to the overall aesthetic of the original. The Predator Touch streamlined the teeth even further, offering an even cleaner striking surface and improved control. Of course, the infamous fold-over tongue remained ever present, as adidas set about creating the most iconic football boot collection in history- and succeeding in doing so. Just before the ’98 World Cup we were all treated to the release of the adidas Predator Accelerator, and all watched in wonder as we watched a certain Zinedine Zidane tear teams to pieces in them. With 2 goals in the Final against Brazil and a Ballon d’or swiftly added to his trophy cabinet, it wasn’t hard to see just how effective these boots really were. It was this design which saw a revamping of the famous 3 stripes, while the transparent outer sole saw yet another streamlining of the teeth, and this wavy new design was carried over to the Predator Precision of 2000. This new design was the first to use Velcro on the tongue to improve its stability and keep it in place, while it also used replaceable Traxion studs so that wearers could adjust to all pitch conditions. Wet, rainy Tuesday night in Stoke, you say? Not a problem, you can just switch the studs around and stay on top form. It was the Predator Precision that struck the winning goal in Euro 2000, too, with David Trezeguet sweeping home that famous Golden Goal against Italy as France continued to dominate the international game. 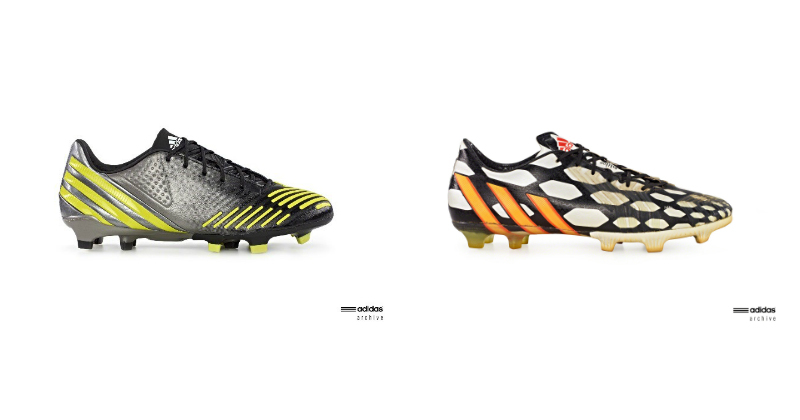 From there, we got the Predator Mania, Pulse and Absolute, as the most famous football silo on the planet continued to take the game by storm. The likes of Raul, Michael Ballack and Steven Gerrard really came into prominence around this time, each one of them sporting their very own pair of Predators and ingraining it forever into the history of the game. But it was David Beckham that enjoyed the real love affair with the adidas Predator- a fact that was recently reinforced as he unveiled the Predator Precision remake earlier this year. With children (and other professional players) becoming desperate to “Bend It Like Beckham”, the Predator stayed with Beckham every step of the way on his road to stardom. Despite it’s cherished place in the hearts of players and fans alike, however, the Predator collection wasn’t going to last. Following the release of the Predator X, Lethal Zones and Instinct, it was decided that the adidas Predator was to be discontinued, as the brand focused their attentions on its replacement: the adidas Ace. That was back in 2015- and we have to say we’ve missed the Predator every day since. So, it’s no surprise that we’re all positively beaming at the release of a brand-new Predator design, and we can’t wait to see this boot make its own mark on the beautiful game. If you’re desperate to get your hands on a classic pair of Predators, or any other adidas football boots, then you’ll be delighted to know you can compare prices with FOOTY.COM today!